I have been away from WebKit development for a while. There were some pressing matters in Maemo6 to attend to. 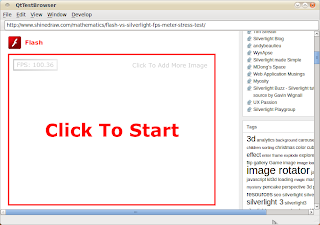 One of the things I am working on is the Flash support for Maemo6. And I am finding that the abstractions of QGV, meegotouch, Qt/WebKit are “adding up” resulting in much slower fps than using just plain Qt. Some time back, Simon explained to me the concept of Accelerate Compositing. WebKit has no AC support for NPAPI plugins but by doing so we can remove the Qt/WebKit overhead when updating frames. 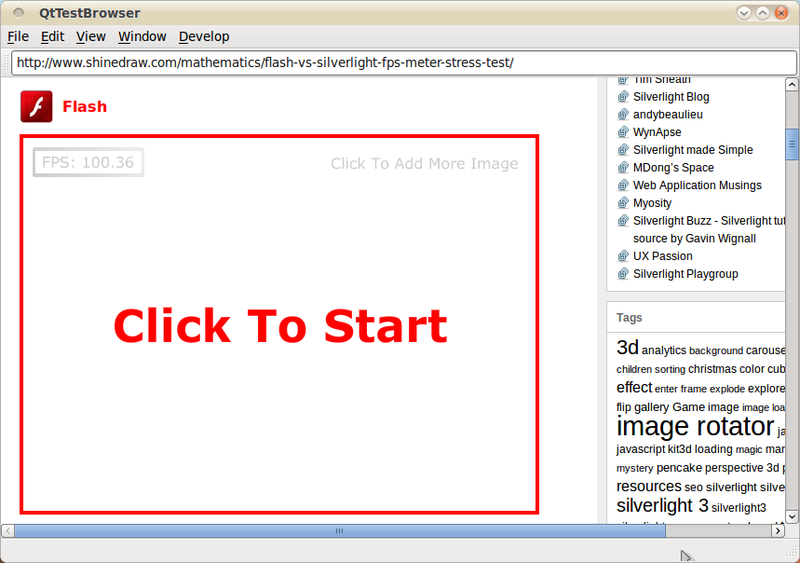 Also, it allows us to implement Flash transparency correctly in QGV. So, yesterday evening, I started hacking on Accelerated Composition (AC) for NPAPI plugins. With help from Noam, I am happy to report that Flash is rendering with AC 🙂 Expect it to land sometime next week. Here’s a screenie with the fps. UPDATE: You can find the initial code at http://gitorious.org/~girish/webkit/girishs-webkit/commits/plugins_ac_35524. https://bugs.webkit.org/show_bug.cgi?id=35524 is the bugzilla entry.